Exceptionally elegant and ravishingly gorgeous. 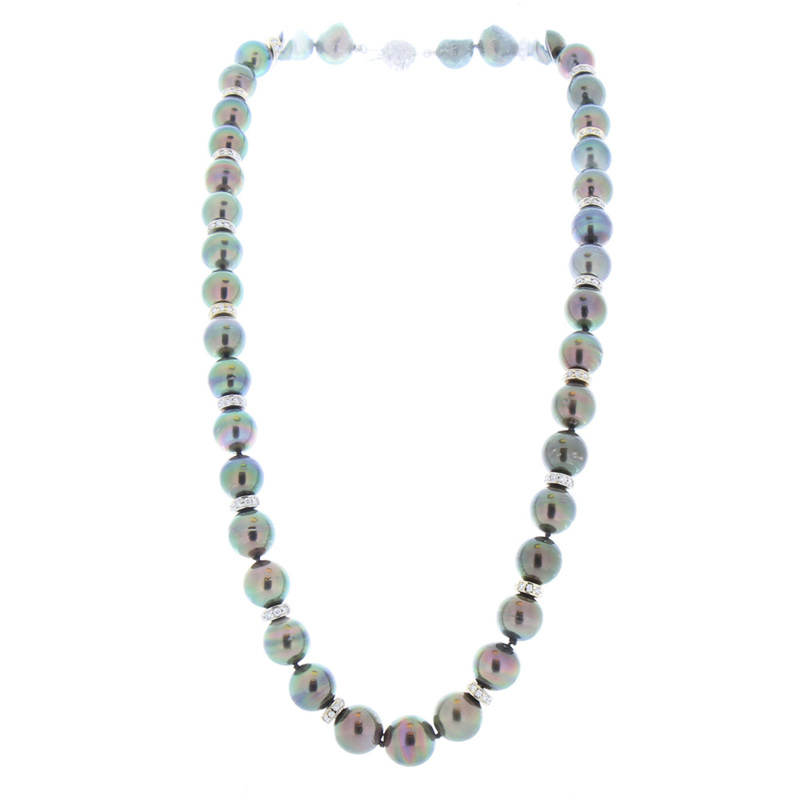 This lavish Tahitian black pearl and diamond necklace delivers on style and sophistication. Dazzling diamonds that total 4.00 carats are stationed in roundels between lustrous 11-millimeter black pearls that are beautifully matched and bursting with undertones of eggplant and peacock. It fastens securely with an attractive and substantial clasp. Crafted of striking 14 Karat white gold, this necklace feels as luxurious as it looks.